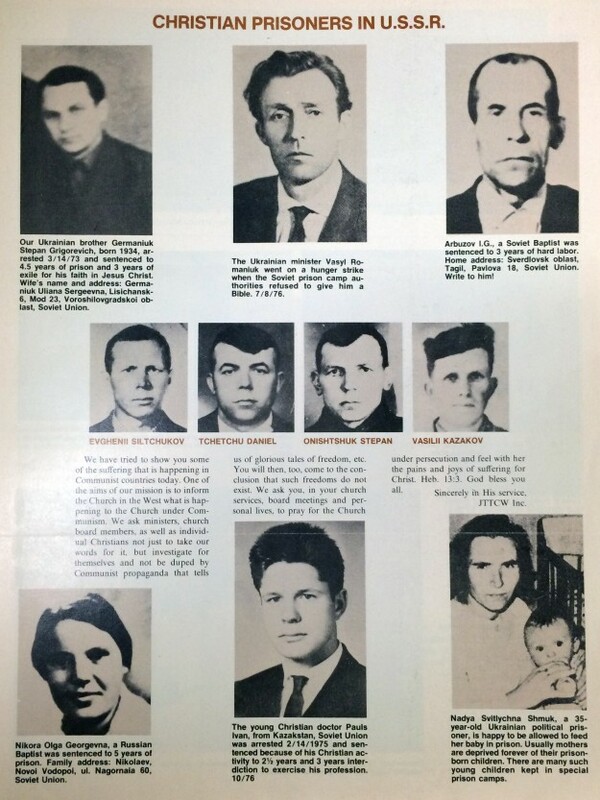 Jesus To The Communist World, also known as the “Voice of the Martyrs” was created in 1967 a Romanian Christian minister named Richard Wurmbrand. Wurmbrand born in 1909 in Romanian was anti-communist believing that Christianity and Communist were incompatible. 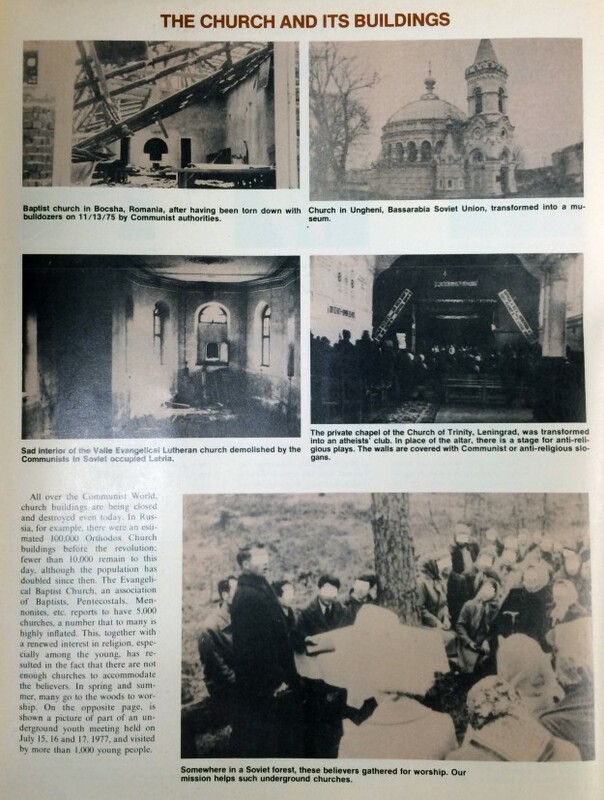 While in Romanian he was imprisoned and tortured for his beliefs multiple times after the USSR took control of Romanian in 1944. In the late 1940s he was imprisoned for 8 and a half years and then again in 1959 he was sentenced to 25 years in prison. He was released from prison for the last time in 1964 for $10,000 leaving Romanian and eventually moving to the United States in 1966. 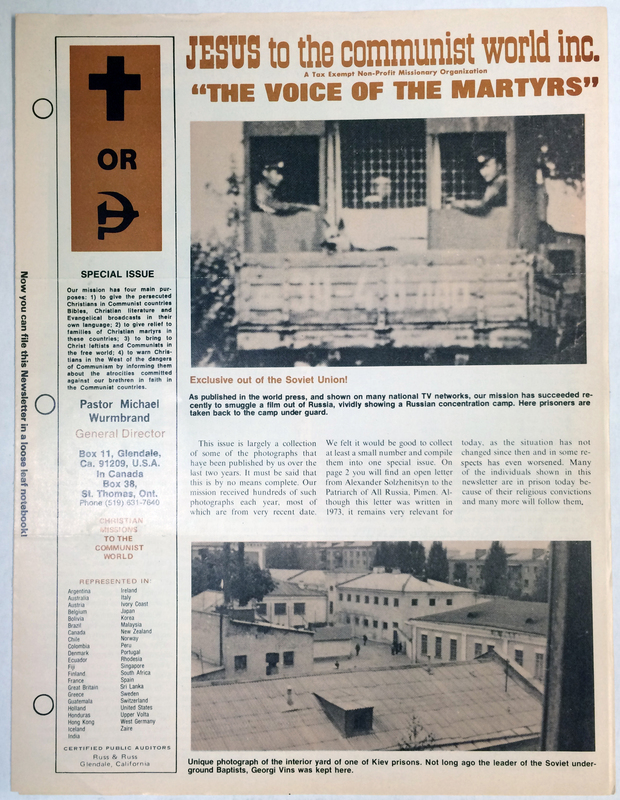 Wurmbrand started to the Voice of the Martyr publication to expose the persecution of Christians around the world especially in Communist and Muslim countries. Wurmbrand died in 2001 in California.